First and foremost a dog lover, I can’t remember a time when I didn’t have a four-legged friend to share my life with. Happiest when spending time with my Cavalier King Charles Spaniel, Clover and black Labrador puppy Jet, I believe whole-heartedly in the joy that canine companionship can bring. A member of the Institute of Modern Dog Trainers, and by virtue of studies in Animal Science and experience working within the NHS and Guide Dogs Cymru, I bring a wide range of skills and knowledge to the team. 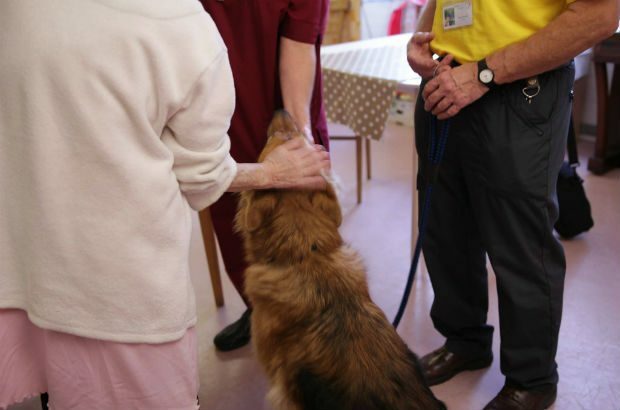 Currently leading our efforts in developing the Pembrokeshire Health and Wellbeing Dogs Service – a service which I describe as being all about “dogs helping people to feel better”.